Each Optic, a modular and stackable moder storage cube that can be used as a bookshelf or small occasional table, measures 16" x 16" x 16". 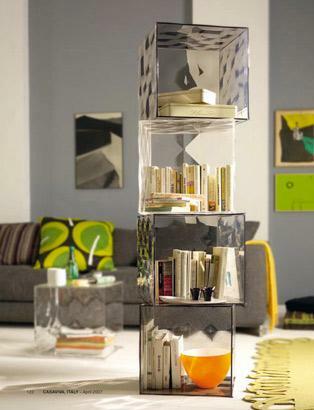 Kartell's optic cube is the perfect size for most things you will need to organize. A couple of these Optic storage units could be perfect for small studio apartments while a larger arrangement can be used for those with plenty of stuff to organize & store. Kartell's Optic is surprisingly strong so it is also perfect for heavier objects like books. 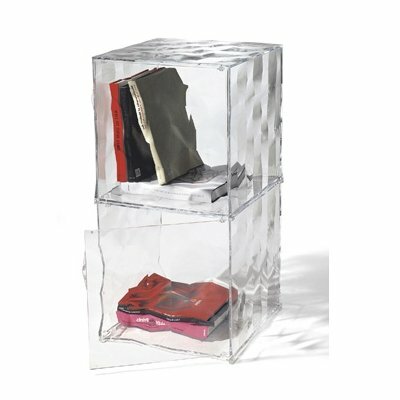 Optic has the potential to become your most-loved organizer! Kartell's Optic is prominently displayed in our store. Our customers and staff absolutely love it. This very attractive storage unit is modular and super functional. It is great for the bedroom, living room, bathroom, home office or large business. 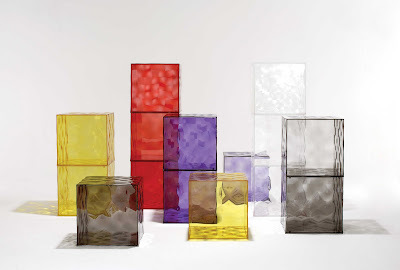 Optic offers a myriad of potential combinations whether by placing the cubes next to each other, by stacking them or by creating linear compositions. Depending on their quantity and arrangement, they can charmingly fulfill a wide variety of needs. The Kartell Optic Cube storage container was designed by Patrick Jouin for Kartell in Italy. 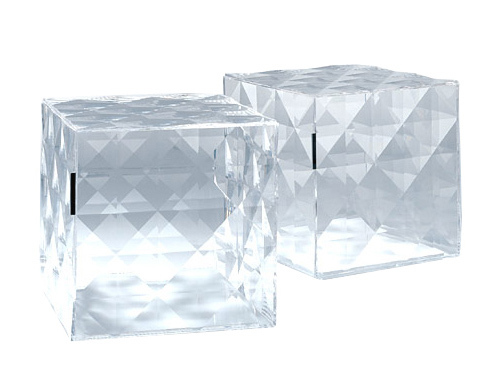 Kartell's faceted Optic Cube is an exciting object with its transparent or mirrored parts that create a special reflected atmosphere. Made entirely out of PMMA plastic, the glossy, faceted surfaces of the Optic are decorated with square-based pyramids, evoking the features of a precious gem. 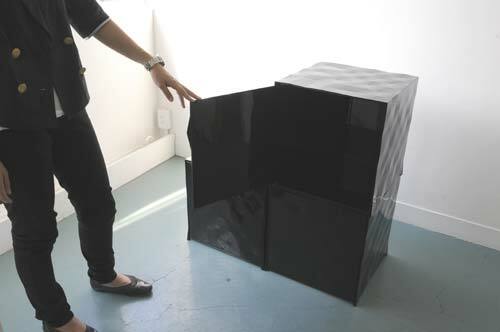 A 16" cube, the Optic is available either with one open side or with a small door and comes in six color options. Optics can be combined to form an endless number of arrangements or used alone to meet a wide variety of storage needs.